You will earn 2200.00 bonus points. ? 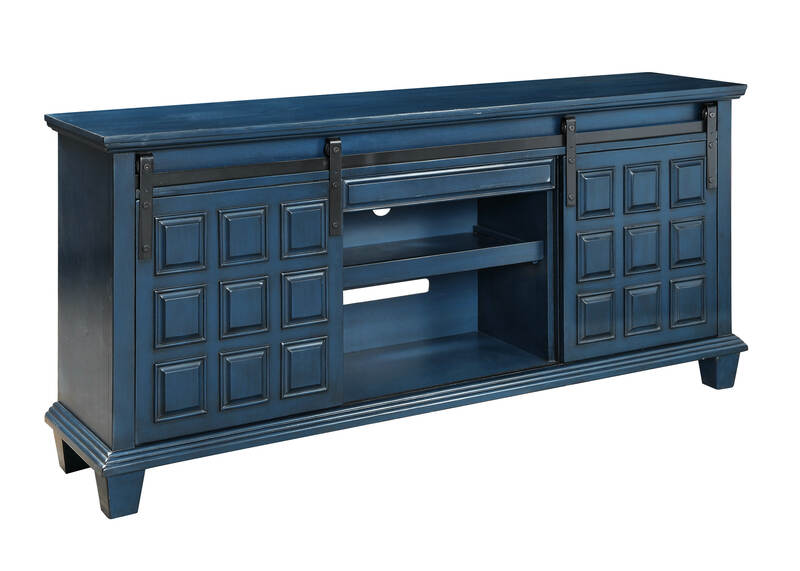 Great design and great color come together in our Two Door One Drawer Media Credenza brilliantly finished in our radiant Ridge Blue. Decked out with two doors which glide side to side on a dark iron track to reveal three shelved compartments and a central pull out shelf. So add a splash of color to your decor today and let the fun begin! Max Tv Size : 76"